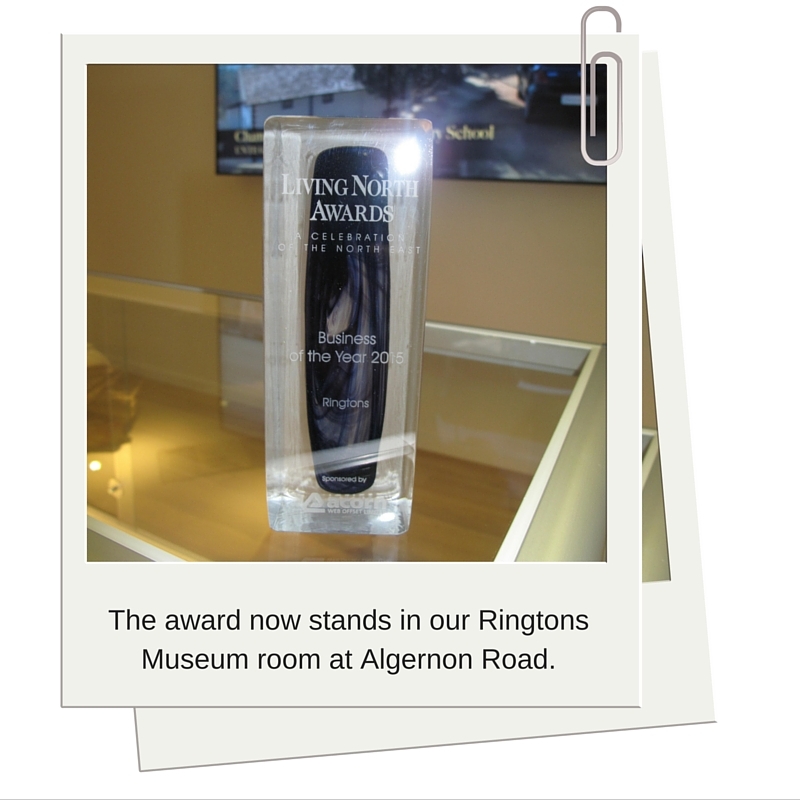 our tea is made) 2015 was certainly a busy year for us at Ringtons! 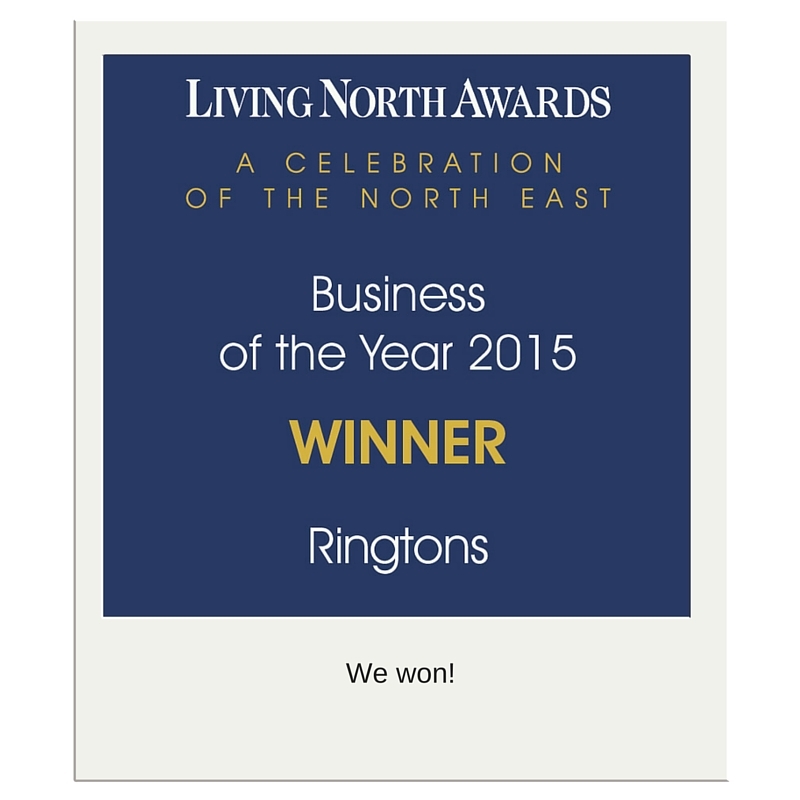 Just when we thought it couldn’t get much better, at the end of the year we were lucky enough to be nominated as Business of the Year 2015 by one of our favourite local magazines, Living North. After being honoured by a public nomination to make the shortlist, we were up against eight other well-known north east companies in the competitive Business of the Year Category. So in early December we donned our suits and evening dresses and headed to a glamourous award ceremony at St Nicholas Cathedral in Newcastle to find out the judges’ decision. The gala ceremony was a sell-out and the venue stunning, with fantastic local food and drink as well as entertainment from some of the region’s greatest talents making the event one to remember. As we took our places in a pew we nervously awaited the results and were delighted when our category came around and we heard our name being read out as the winner of this fantastic award! 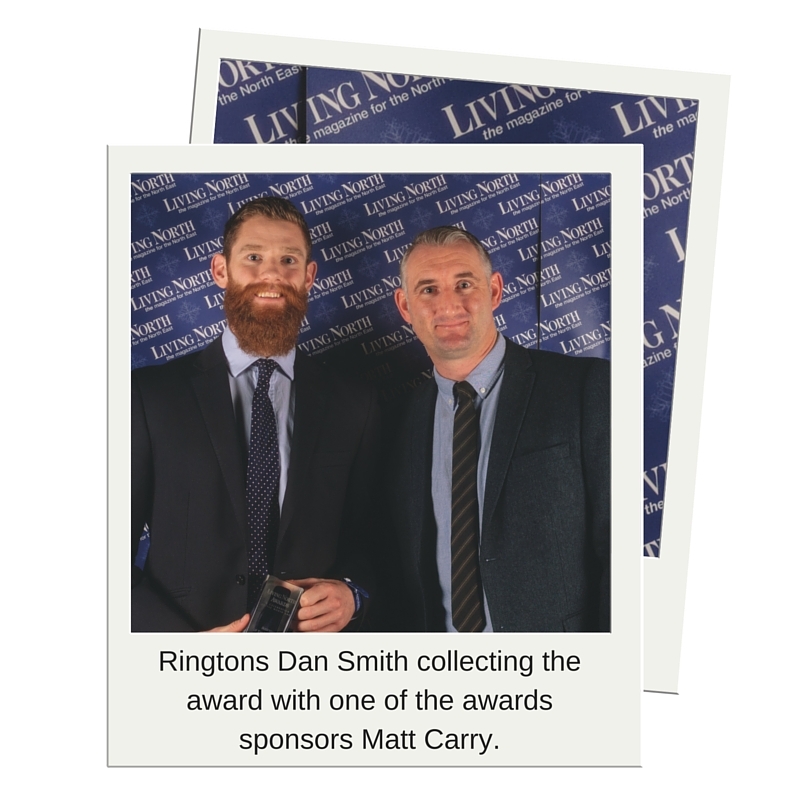 The judges cited our commitment to our traditional values while expanding our business both within the UK and globally, as major factors in choosing Ringtons as the overall winner and we couldn’t be prouder to have won this accolade. Our new award has taken pride of place in our Newcastle head office alongside our Service Award from the North East Business Awards which we also won last year. Although we have offices throughout the UK from as far north as Edinburgh to Dorset in the south we are honoured to hold this title in the region in which our business first began.